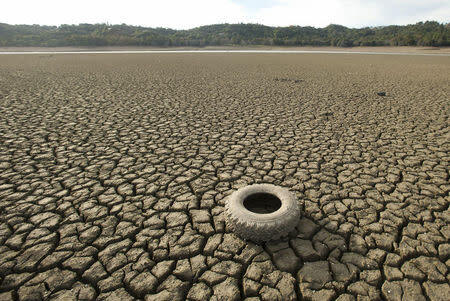 SACRAMENTO Calif. (Reuters) - Some farmers and community water districts in drought-hit California could soon face limits on their ability to use water from strained streams that flow into the Sacramento River. The California Water Resources Control Board adopted regulations on Wednesday to limit water use during summer months, the driest season and the time of year when farmers are most likely to need water to irrigate their crops. "Due to severe drought conditions, immediate action is needed," said Dan Schultz, acting program manager with the state Department of Water Resources. Governor Jerry Brown declared an emergency in January, requesting voluntary conservation efforts, and the state has loosened some environmental protections for fish in order to keep water flowing to communities and farms. The new regulations, adopted after two days of sometimes emotional testimony from farmers who feared the loss of their water rights, set standards for the minimum amount of water that must be flowing through three Sacramento River watersheds when fish are present. That, in turn, sets the stage for the state to forbid some users from taking water out of the affected streams and reservoirs when water levels fall too low - a move vehemently opposed by farmers and others who hold legally sanctioned rights to use the water. Those who violate such an order could be fined. "We're doing our best to make the best use of this water," said Jim Edwards, a rancher and farmer who uses water from Antelope Creek, which would be affected by the new regulations. "We know it’s scarce and we do want to protect the fish. But we also want to survive." An order curtailing water rights would only be issued after voluntary efforts to reduce water use had failed, said George Kostyrko, a spokesman for the water board.